The idea for ASK began with former Home for the Brave client, Fred Silhol. Volunteers of America Delaware Valley had secured him an apartment after his time in our program, but he didn't have much else joking that he needed someone to "throw him a bridal shower." He took $50 and got just the essentials, even making sure some items could have multiple uses. And the Apartment Starter Kit was born. Since then, Volunteers of America has given out hundreds of kits out to people we assist with housing. But we need your help. 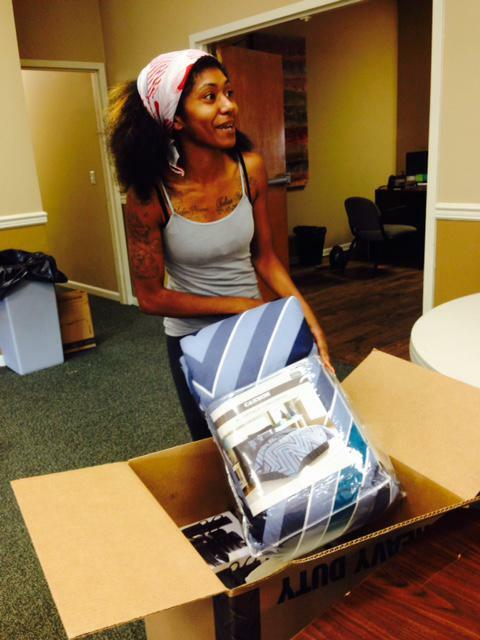 Each year we help over 1,000 find permanent housing and all of them could use an Apartment Starter Kit to begin their new lives. For only $50 you can purchase an ASK and give hope to someone in need.